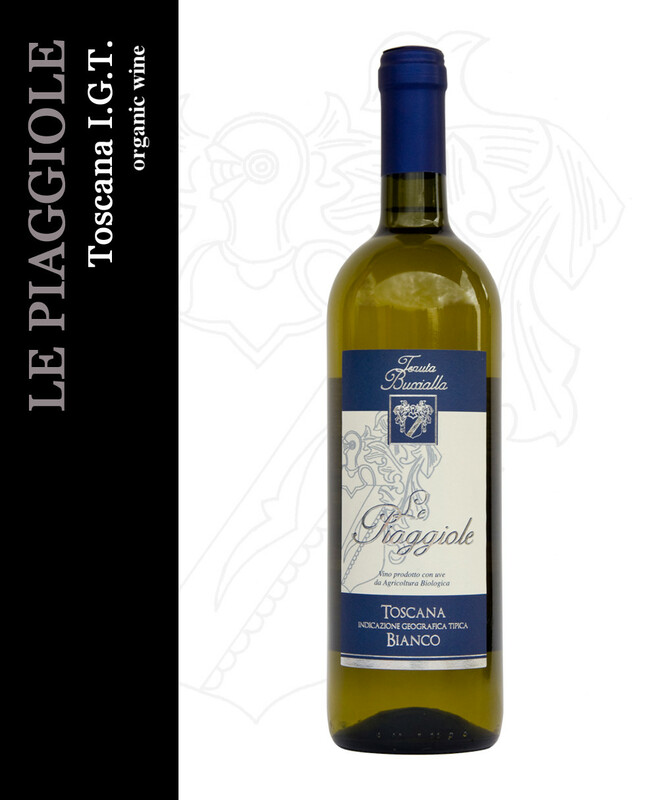 This wine is produced using Trebbiano-Malvasia Toscana grapes and a small percentage of Sauvignon Blanc. Harvesting takes place in the third and fourth week in September to ensure that the wine maintains a good freshness and acidity. Grape variety: 70% Trebbiano-10% Malvasia-20% Sauvignon Blanc. Vinification: After harvesting grapes are gently pressed to separate the must (white vinification). Once the must has been separated alcoholic fermentation starts at a controlled temperature between 20° and 22° C. Selected yeasts are then added. Appearance: Straw yellow with golden glints, a good presence of legs which indicates a good persistence and alcoholic level. Aroma: A good intensity and persistence, floral and fruity (yellow peach, acacia flowers). Flavour: Dry, rather soft with good freshness and sapidity, a full-bodied, well-balanced wine.